These are a few products I've been using a lot the past few months and during september. My first empties post ever! Nivea softening cleansing wipes: Great for removing face make-up, eyeshadow and eyeliner but not for mascara. At least, not for me. These wipes are really hydrating and soft. Kruidvat eye make-up remover pads: Work fine. Have to rub my eyes to remove the mascara though. Batiste dry shampoo: I really like this! This really worked for my hair and gave it a lot of volume. 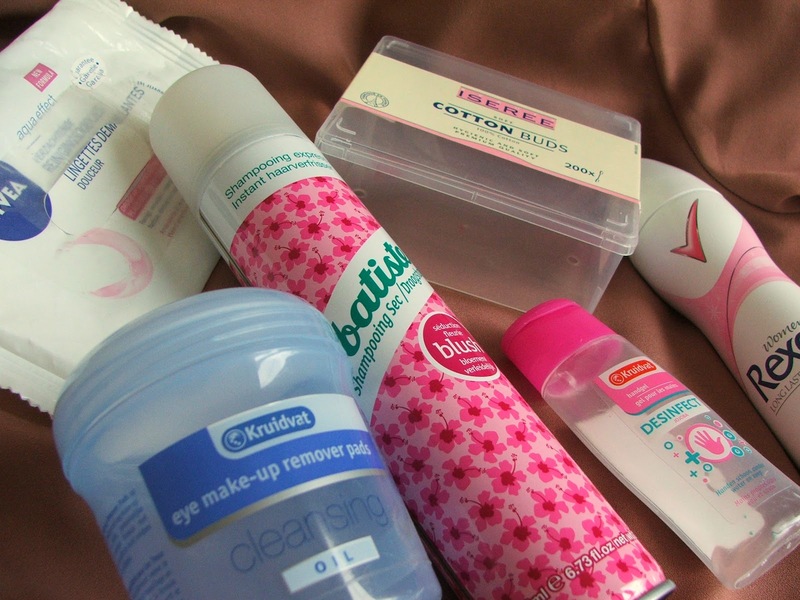 Even though I'm really impressed with Batiste I'd like to try out different brands as well. Iseree cotton buds: probably the cheapest ones out there but they work great for me! Kruidvat desinfection gel: I always desinfect my hands before applying any make-up to my face. This works fine. The smell is a bit overwhelming though. Rexona deo: Random deo I had and needed to get rid of, so I used it this month! Nothing special though. I newer tried dry shampoo, must be good! This month favorite product is my perfume Armani Sensi, but the bottle is not empty yet, so I will enjoy it next month too! I use the same cotton buds. Cheap and ok .